Rebox Kennels are a small kennel with the welfare of Standard Poodles at heart. I started firstly with Boxers in 1988. I love the breed and used to show both breeds from 1990. At that time Non-Sporting was a huge group which both of my breeds. The Kennel club decided to split the group and made a Utility Group of which my boxers were allocated to. That made it difficult because the time they were both in the ring always seemed to clash and as Poodles need so much preparation I decided to carry on with them. 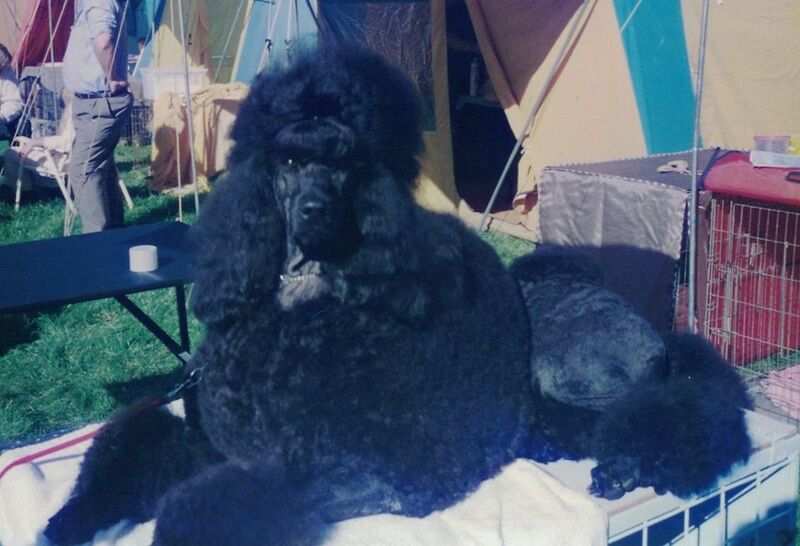 Over the years we have had many wonderful Poodles who have given us much joy both at home and in the Show Ring. When I first started showing it didn't take long to get very keen on the hobby. I travelled throughout the North Island to compete against the best of them. I have made many friends in the dog world over the years and it's great to catch up with them at shows and chat to them mainly about dogs. I imported my first Standard Poodles from Australia and feel very fortunate to have had such a good start with excellent stock. Over the years I have bred many fine Poodles and I am still striving to improve the breed. As I am a caretaker of this beautiful breed it is my responsibility to strive for all the attributes required.